I was recently able to hop on the Eurostar for a quick trip to Paris. Yes, I sound like a horrible cliché, but I absolutely love that city. The tree-lined streets, the chic locals, the iconic monuments, the croissants, the wine…what’s not to love? Ok, there are a few things, but I’ll spare you the negativity. 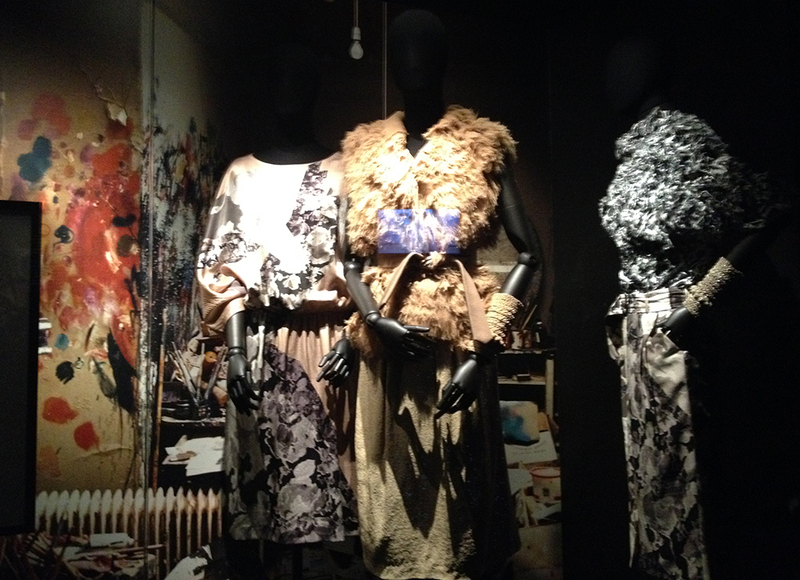 Top on my list for my visit was a trip to Les Arts Decoratifs for the Dries Van Noten exhibit that I had been dying to see for months. Luckily I caught it just before it closed. I took loads of photos and am excited to share them with you here! 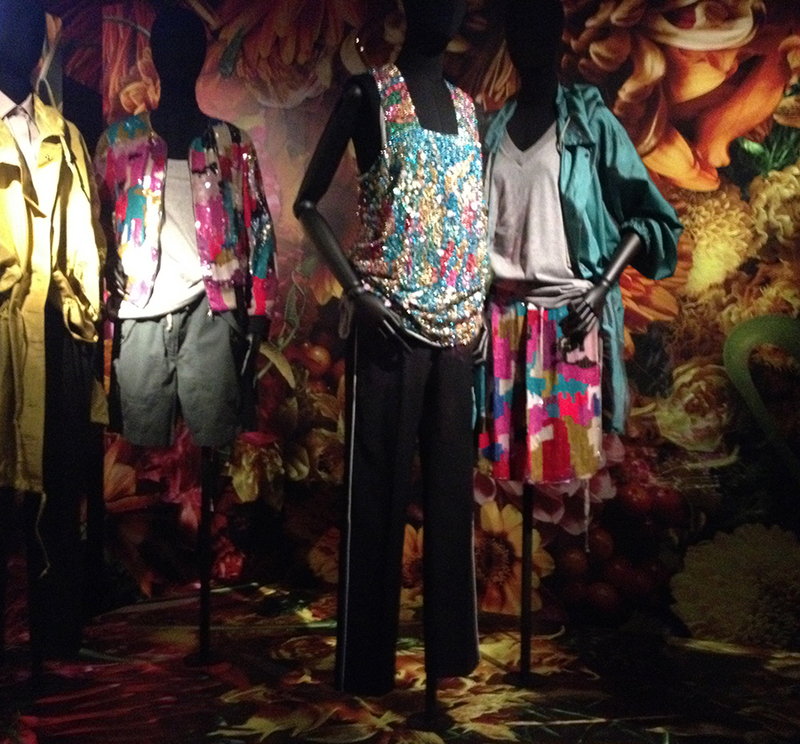 Dries Van Noten is a master of colour and print and has been one of my favourite designers for a while now. The best part of this exhibit is that it was a three-dimensional moodboard of sorts. His eclectic inspirations – from paintings by John Singer Sargent and Damien Hirst – to ancient Chinese robes – were on display alongside his incredible designs. The themes of his collections over the years have ranged from butterflies, representing the ephemerality of youth to the graphic and reduced palette of optical illusions to the transformation of camouflage from something that obscures and hides to something that highlights and adorns. Here are some of my favourite vignettes from the exhibit, along with some context around the designs and inspiration. The nonchalance of 1960’s Paris and the sensuality of Serge Gainsbourg’s music are brought to mind by the graphic, reduced palette. The Duke and Duchess of Windsor provide a point of inspiration for this collection that references nobility and the subversion of British tradition. The boundaries of a masculine wardrobe are questioned. Camouflage sheds its military connotations and becomes something lush and decorative. Texture, shadow and materials take centre stage in this homage to verdant nature. Camouflage is no longer used to hide, but instead to adorn and highlight. This is a land of nostalgic dreams – one of porcelain, postcards from a faraway land, rice paper and travel artefacts. Visually, this is one of my favourites, but it’s a loaded topic and one I will revisit on the blog at a later date. And here are a smattering of other images from the exhibit, from collections around themes such as Jane Campion’s movie The Piano and Folklore. If you’ve enjoyed this post, you may also want to check out the collage I put together of images from his Autumn/Winter 2014 collection. I’m interested to know what your favourite theme is from this exhibit? Based on the number of photos I took, it’s a toss up between Garden Camouflage and Orientalism for me.